For 20-year-old Angie Garcia, soccer is not just a sport. Through her 10 years of playing she has learned a lot about herself and those around her. Her time on the field is a visceral experience where she is able to be free. 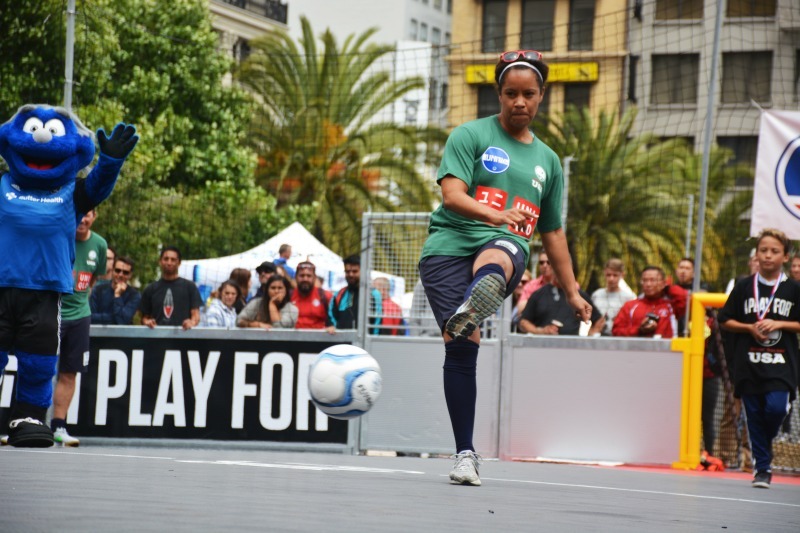 Her passion for the sport is much more reflective of who she is than her exterior struggles, and because of programs such as Street Soccer USA (SSUSA), she is able to continue to play the sport she loves despite financial circumstances. 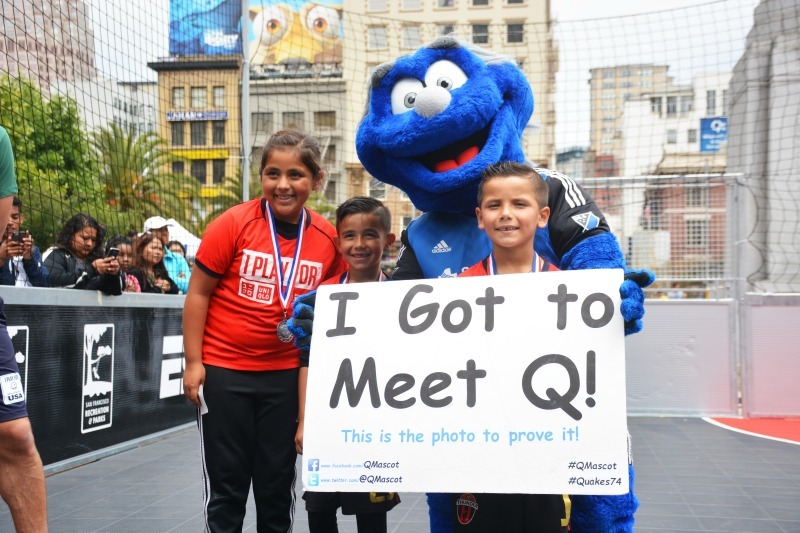 Street Soccer USA provides positive and productive programs for kids and young adults. Garcia has been involved with SSUSA for about a year, and she isn’t the only one deeply impacted by the organization’s efforts. 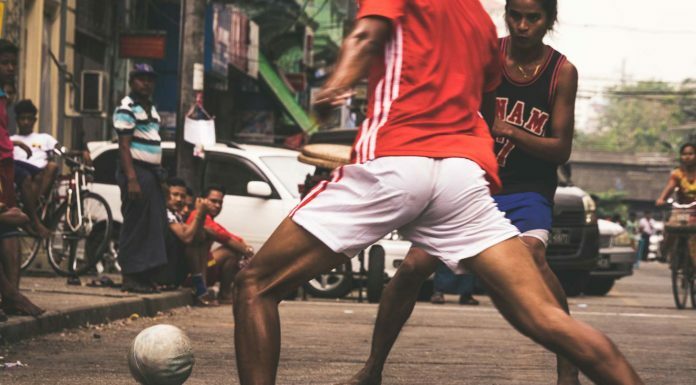 SSUSA has made it its mission to bring street soccer to underprivileged youth and adults and leverage the power of football to connect and inspire people from diverse backgrounds. For many involved with SSUSA, playing helps create a safe haven from daily struggles and personal issues. The organization also provides tangible pathways to education and employment, as well as access to medical services. In fact, the nonprofit strives to not only foster a positive community through programs in the states, but also worldwide. Over the past few weeks, SSUSA hosted its annual Street Soccer Cup, a celebration and fundraising event for the program. Benjamin Anderson, Bay Area Program Director for SSUSA, said the tournament is a way to reward the program’s participants for their hard work. Street soccer is a very positive community, and it can be highly transformational for our participants. Anderson noted that youth soccer can be a very expensive scene. Uniforms, team fees, tournament fees and other costly amenities are often hard to afford. 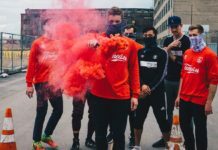 SSUSA, he said, is a way for everyone to have access to soccer, and the program provides young people with an alternative to the pay-to-play leagues. It also offers participants the chance to grow as individuals. 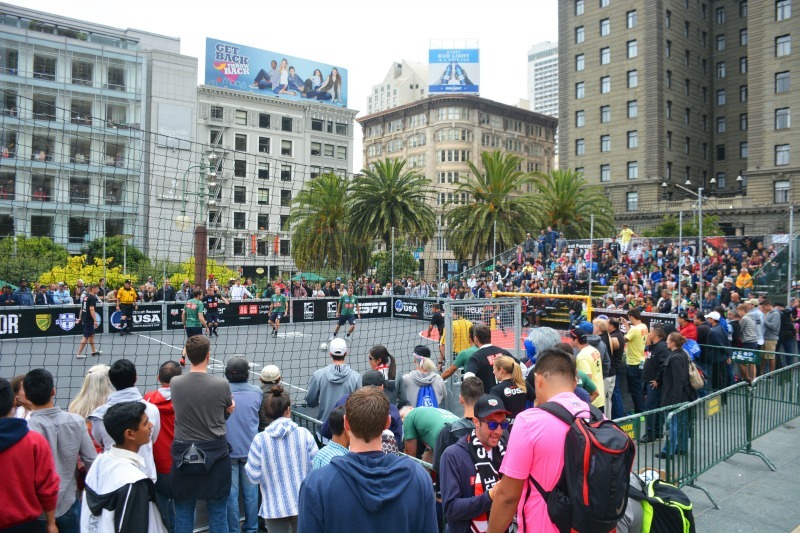 Onlookers enjoyed a weekend of SSUSA matches in the heart of San Francisco. 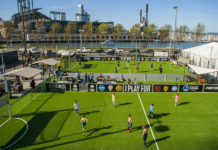 The tournament was held in three cities across the U.S.—Philadelphia, New York, and San Francisco. 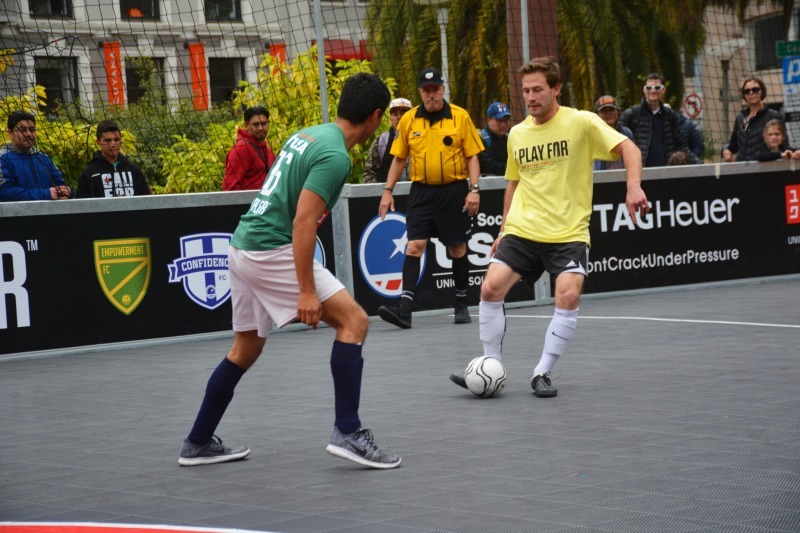 San Francisco’s tournament wrapped up the event and bolstered 64 teams for a two-day event held in Union Square. 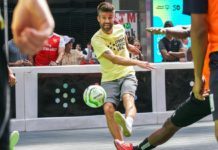 The event also included mini-challenges for individual players and a celebrity match with local notables, including Fox Sports analyst and former U.S. women’s national soccer team player Danielle Slaton. Former U.S. women’s national team player Danielle Slaton gets in on the action in SSUSA’s celebrity match. Slaton, who played for the women’s team from 2000-2005, said it was an honor to participate in such a positive event. Slaton said that although it was her first time participating in an SSUSA event, she could see the effect it has on participants. Starting these kids off at a young age, it teaches them soccer and valuable life skills. It also brings them out of their everyday life scenarios, whatever that may be, and gives them something to look forward to. Jaydee Perez, an SSUSA participant since 2011, said the program has provided a safe and positive environment. In 2012, Perez transitioned from player to coach. That year he was selected to attend the Homeless World Cup in Mexico City, where he met people from around the world. Perez grew up in foster care, and when he came to SSUSA, he was struggling financially and fighting drug and alcohol addiction. Perhaps most importantly, his new role has given him the opportunity to help younger kids avoid going down the wrong path. As for Garcia, she said she hopes to keep participating in SSUSA for as long as possible, and that she wants to share her experience with loved ones. For more about SSUSA or Street Soccer Cup, visit www.streetsoccerusa.org.